Dieticians recommend drinking a lot of liquids. The truth is, however, that not all beverages hydrate the body, and even if you drink plenty of water you may still be at risk of dehydration. Water needs an ally. And it has one. Salt. Yes, this very same salt that tends to be called the “white killer” or the “white waste”. And the last missing link is potassium. Only with a proper proportion between water, salt and potassium will your body be fully hydrated, which is indispensable for its proper functioning and health. The human body is ca. 60%-80% composed of water. Water transfers nutritional substances to cells and organs, whilst facilitating the excretion of toxic compounds. Virtually all living processes depend on water. To ensure proper hydration of the cells, it is necessary to drink water regularly, as the human body cannot store it. What you drink counts. Although tea, coffee, alcohol or sweetened drinks do contain water, they are also rich in caffeine or other chemical compounds that lead to dehydration. If you drink such beverages, your body loses more water than you deliver, which means that is slowly gets dehydrated. As dehydration progresses, the volumes of the cell liquid (60%) and intercellular liquid (26%) decrease, whereupon water is obtained from the circulatory system (8%). All this to ensure water delivery to the most important organ, i.e., the brain. Even insignificant dehydration of the body lowers concentration and causes weakness and headaches, while a drop of water content by ca. 10% can lead to death. When the brain loses 1% of water, irreparable damage occurs. We need water to live, but we are often unaware that even regular drinking of water does not protect the body against dehydration. What you also need is salt! 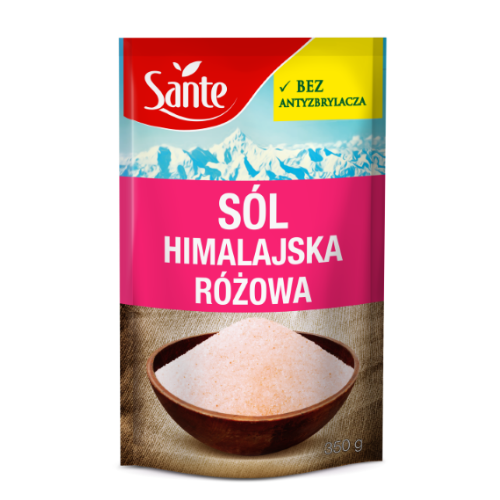 As shown by research, one glass of water with the addition of the appropriate salt (Himalayan or, preferably, sea salt enriched with potassium) is high in minerals which help the body effectively metabolise the liquid consumed. 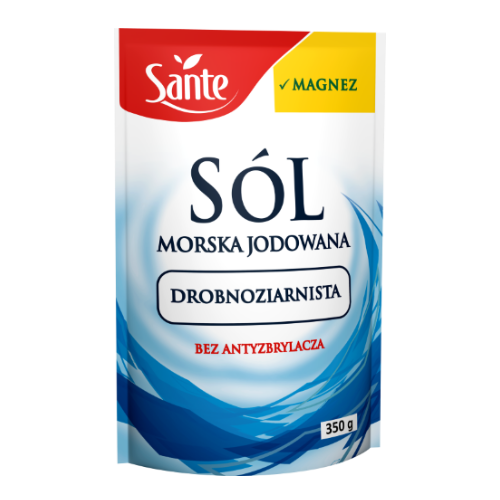 In the opinion of Professor Ivan Neumyvakin, the author of major publications on the functions of salt in the body, 2 to 3g of salt in a glass of water is enough to improve water circulation. That water with salt is effective in hydrating the body has been known for ages by Bedouins, who would place several grains of salt on their tongues when crossing the desert, washing them down with plenty of water. Our grandfathers, too, would take salted water with them when going to work in the field on hot days, while our grandmothers used to say that we should eat soups (water plus salt and additives). The human body is also composed of salt. Salt, or sodium chloride, is an important element of the earth’s crust and the human body alike. The body of a healthy adult contains 130 to 165 grams of salt. Sodium is believed to be the most important alkaline element in the human body, so nature invented “centres” where its supplies are created, i.e. muscles, the brain, nerves, bone marrow, the skin, mucous membrane of the abdomen and of the intestines, and kidneys. And, last but not least, the liver. The areas of sodium concentration neutralise toxins that are produced in the body as a result of metabolism and a stressful lifestyle. If the liver is unable to keep the blood clean, as its filtration capacity decreases, we get sick and start to age. 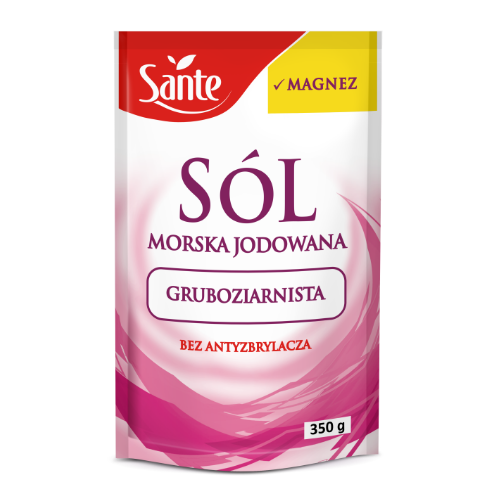 But if the liver contains the appropriate amounts of sodium, it purifies the body with its secretion (bile). Otherwise, poisoned bile does harm to the whole body, as it is absorbed by the intestines and re-transported to all organs. Sodium creates the environment for all bioenergy processes. Without it, they are much more difficult to occur. And it is similar with digestion. A pinch of salt after a meal favours the production of additional gastric acid and body cleansing of old cells. Salt is an electrolyte, which means that it is water-soluble and carries an electric charge. In water, salt (Na Cl) is dissociated into ions, Na+ and Cl-, which regulate the electrochemical processes that occur in the cells. Potassium promotes proper blood pressure and supports the proper functioning of the nervous and muscular systems. Potassium deficiencies are primarily due to taking medications that cause its leaching from the body (diuretics, heart tablets), while it is this very mineral that is co-responsible for the sodium-potassium balance, a prerequisite of the proper hydration and the resultant good functioning of the body. Water, salt and potassium are the three ingredients that regulate water content in the body. Salt regulates water content outside of the cell (in body fluids and intercellular cavities), potassium ensures balance inside the cell, while water rinses the cells and removes toxins. While water “washes out” the cells, sodium and potassium create the appropriate potential of the cell membranes, which is needed for the transmission of nervous impulses. All this ensures proper muscular activity and promotes the transport of amino acids, sugars and vitamin B1, choline, biotin, vitamin PP and vitamin C to the cells. For the processes to proceed properly, and leave the body correctly hydrated and nourished, the right water-sodium-potassium proportions are needed. If insufficient amounts of potassium are delivered, sodium levels grow and the body retains water. This leads to swelling, hypertension, muscle contraction, mood swings and blood pressure growth. 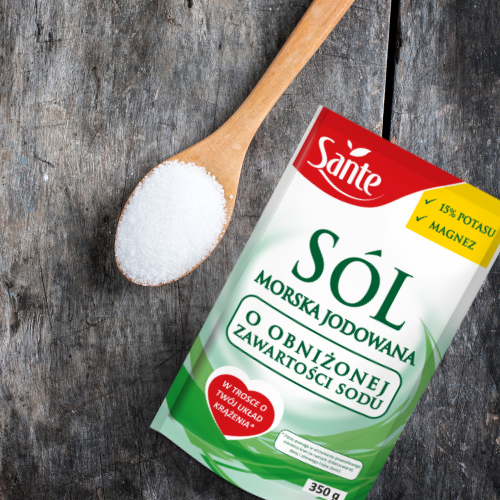 On the other hand, when you eat too little salt whilst drinking too much water that is not excreted, the cells will become damaged. Therefore, it is best to drink water rich in minerals or add low-sodium, potassium-rich salt to the water you drink, which will perfectly balance the healthy proportions between the ions. You should not eat too much salt. According to currently applicable nutritional standards, eating up to 5g (1 teaspoon) is allowed, although the demand for salt is a highly individual matter. Neumyvakin recommends eating 4g, stating that while too much salt can be bad, its deficiency is even worse. The human body cannot produce sufficient amounts of sodium on its own, so you need to deliver it in your diet. The richest sources of sodium are vegetables: sea-weeds, tomatoes, aubergines, potatoes, and white beans. Sodium is present in animal tissues such as muscles and the liver. But to absorb the sodium from meat, it must be eaten raw, or after minimum thermal processing only. It is also essential to deliver potassium to the body. The highest content of potassium can be found in selected fruit (peach, dried figs, avocado, banana) and vegetables (potatoes, celery, tomatoes). The body needs water to live. But it is not enough to drink plain water. What you need is a balance between elements such as sodium and potassium in your diet, which are essential for proper hydration. The main source of sodium is salt. It is not only the amounts of the salt that count, but its quality, origin and content as well. 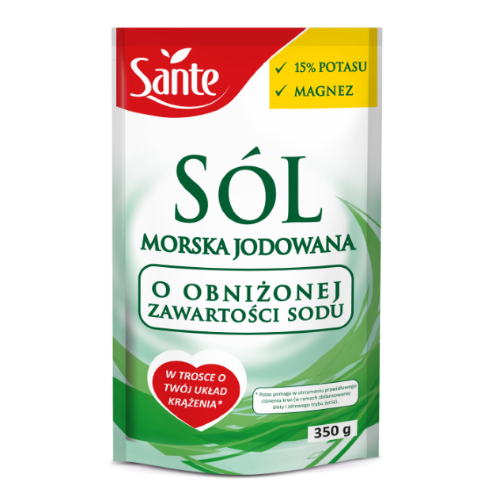 By replacing standard salt with low-sodium salt enriched with potassium ions in your diet, you enhance the sodium-potassium balance in the body, which is one of the most important health determinants.